We at Certified Transmission have a line of commercial Allison remanufactured and Dyno tested transmissions. 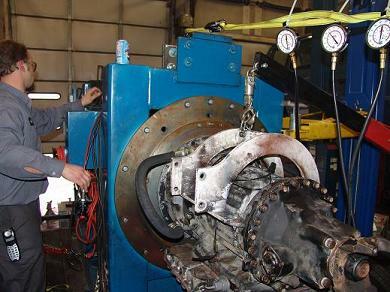 All work is performed by factory trained and certified Allison technicians. Every unit we stock is rebuilt to factory specifications. We always replace all seals, gaskets, screens and steel and friction clutch packs. We guarantee transmission turn around time will be no more than 48 hours from time of order. This will increase your profitability and reduce your down time/turnaround time. Some off road/unique transmissions may need to be custom rebuilt and will not be in stock and may have a longer turn around time. M/D - World Series are a custom overhaul and may have a longer overhaul time. Abuse, misuse or improper install will void warranty. * All prices assume good core exchange. i.e. assembled, no case damage, all internal parts, with torque converter or core charge will apply. For your convenience we also have a net 30 day pay schedule for qualified accounts.